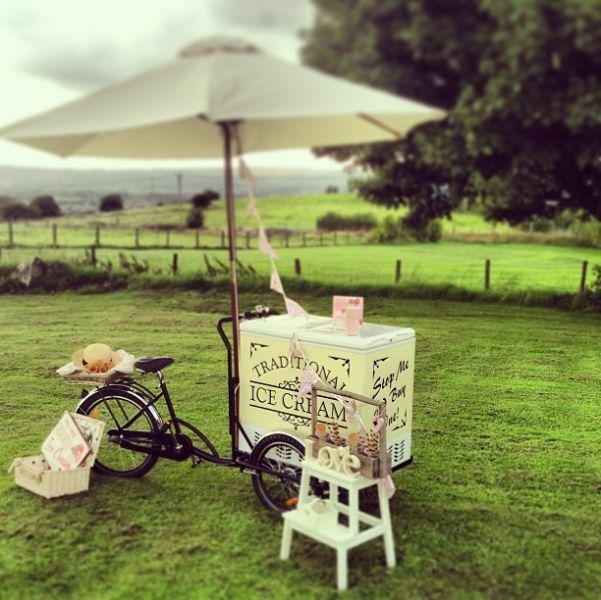 We are delighted to offer a traditional ice cream trike within two hours of Ebbw Vale. Covering The Welsh Valleys, Abergavenny, Crickhowell, Brecon, Mid Wales, Usk, Newport, Cardiff, Monmouth, Swansea and the Gower. In England we service, Hereford, Bristol, Gloucester and Cheltenham. Cover is limited to two hours to guarantee the quality of the ice cream, (For longer bookings, please state when you contact us). Please also note that we have a Five Star Food Hygiene Rating, that highest you can achieve for good food practices. This was awarded in August 2018. We also have the level 2 food hygiene certificate in food handling. 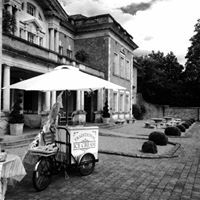 Safety, and good working practices and the cornerstone of Ice Cream Trike Hire. We also work closely with Trading Standards to ensure we are fully complaint in all relevant laws and guidelines. After the recent legal cases around allergies, we can provide you or your guests all the relevant allergy information on any ice creams we provide. Please let us know how we can accommodate you. In the summer, we all love a traditional ice cream, served in a luxury waffle cone. Serve it with style, in a unique traditional way and you have a winning formula for all to enjoy and remember. Our bike is newly built in 2018 in the traditional style of a 1920s trike. Unlike the old days, ours also has a fully working freezer to keep the ice cream at its optimum serving temperature. The Little Events Ice Cream Trike experience is based from Ebbw Vale and can be brought to venues across South Wales. We serve premium quality real dairy ice cream from Sidolis Ice Cream in Ebbw Vale. 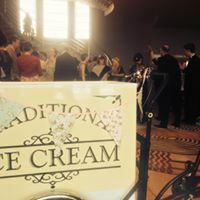 Our traditional ice cream tricycle gives any event a unique centrepiece attraction. With a fantastic selection of premium ice creams, we are sure to have a flavour that will match your day. 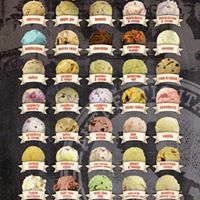 With exciting flavours like Jam Donut, Millionaires Shortbread, Salted Caramel, Rocky Road, Apple Pie, Chocolate Orange, Cherry Bakewell and 50 other flavours. Also, what your guests don't eat, you get to keep the remaining ice cream. Just give the tubs to your venue to keep frozen and take them home to enjoy. 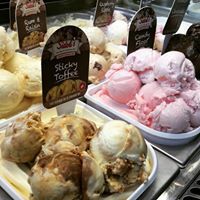 For 2019 and 2020 bookings we are delighted to offer Dairy Ice Cream from Brooke's Wye Valley Dairy Company. This company uses their own Jersey cows to make their ice cream. There are less flavours but they are colour and additive free. a continued commitment to incorporating wholesome, natural produce using locally sourced fruit, milk, cream and the finest ingredient imported from one of Italy's top flavour houses. Creating a euphoric blend of Welsh Ice Cream, with Italian Flair!" 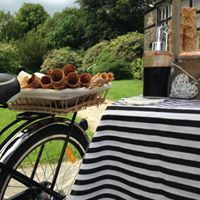 Whichever ice cream supplier you choose, all give amazing Ice Cream and with our Ice Cream Trike, your guests will have a lovely treat. Ice Cream was traditionally served from Ice Cream Tricycles in the early 1920’s and was common place until the 1950s. Now, over 60 years on you can re-live those past times again. 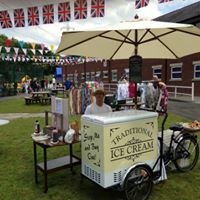 Our fleet of Ice Cream Trike is lovingly based on the 1940s & 50s retro tricycles and the infamous ‘Stop me and buy one’ era. Each ice cream bike is a beautiful reproduction of a classic and timeless piece of craftsmanship from that era. 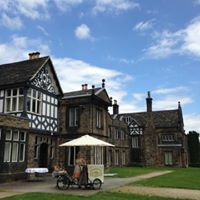 Our Trike is lovingly cared for and maintained to ensure it is in pristine condition for your wedding or event so you and your guests can experience how it use to be in the good old days! We will then email you a personalised quote that will be valid for 7 days. We always recommend you discuss your booking with your venue, as we will need access to power and if the weather is not suitable we will need to move inside the venue or to a covered area. We are able to attend a limited number of outdoor events a year. 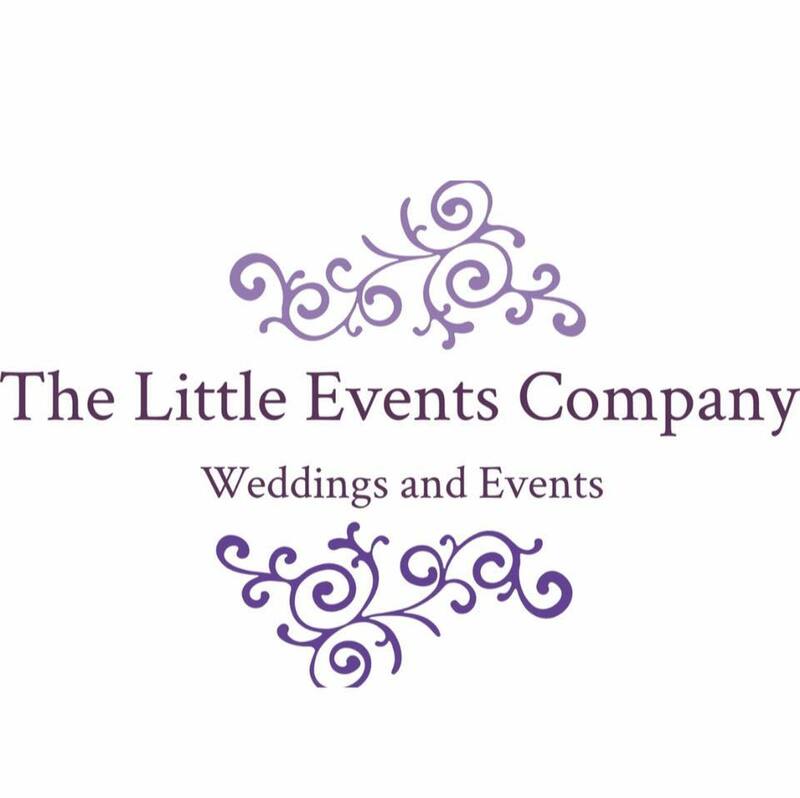 The summer months through July - September are some of our busiest months for weddings but we do have limited availability for day time bookings. Should you wish us to be part of your outdoor event, please contact us to check our availability. We always prioritise working at local events to us, to be part of the community which we are part of. We only use Sidolis Ice Cream which is manufactured in Ebbw Vale, Blaenau Gwent, again supporting our local community. Recently, we met with our local trading standards officer to check our procedures with allegories etc and we are confident that we are working hard to ensure that our customers get products right for them. We also hole a 5 star food hygiene rating. Cover is limited to two hours to guarantee the quality of the ice cream. 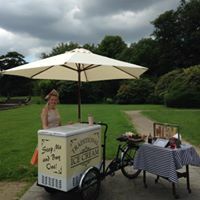 Ice cream trike hire Cardiff, Ice Cream trike hire Usk, Ice Cream Trike hire Abergavenny, Ice Cream trike hire Brecon, Ice Cream trike hire Newport, Ice Cream trike hire Ebbw Vale, Ice Cream trike hire Merthyr Tydfil, Ice Cream trike hire Monmouth, Ice Cream trike hire Hereford, Ice Cream trike hire Bridgend, Ice Cream trike hire Llantrisant, Ice Cream trike hire Chepstow.